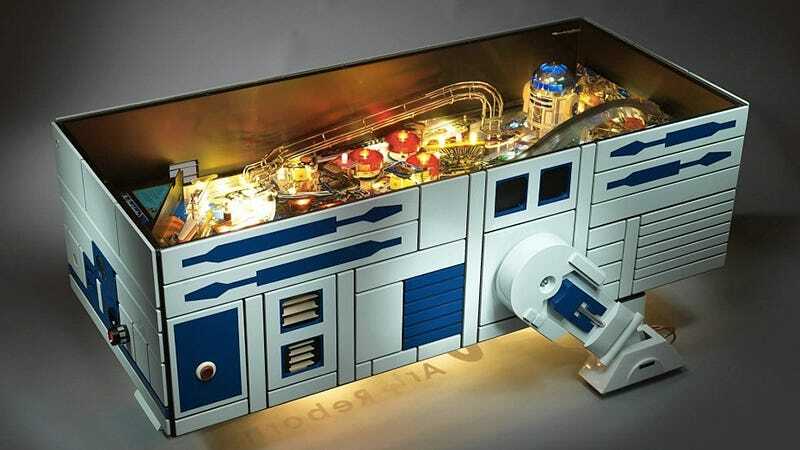 Forget couches, forget dining tables, forget beds, forget even a working toilet, all your home really needs for you to be happy and content is this amazing R2-D2-themed coffee table featuring a working Star Wars pinball machine inside. The pinball machine (circa 1991) hidden beneath the table’s glass top comes courtesy of Data East, so it provides a genuine pinball experience with all the lights, dings, and tilting you could ever want. And the table is on wheels, so once you’re done entertaining guests with it in the living room, you can wheel it into the bedroom for some private pre-shuteye high scoring.